A native of Maywood, NJ, Lisa worked at a large chain grocery store as front-end manager for 13 years before switching to retail management, where she met Bea. As the relationship blossomed, Lisa left the rat race of retail for a corporate fraud analyst position with a nice cubicle. Bea is from Essex County, NJ, where her parents emigrated from Italy when they were in their 20s. Fluent in Italian and sarcasm, Bea studied criminal justice at Rowan University while starring in lacrosse. Bea was the lead fraud investigator at the same company as Lisa. Fraternization between their job titles was strongly discouraged—which made it so much more fun the girls admit! 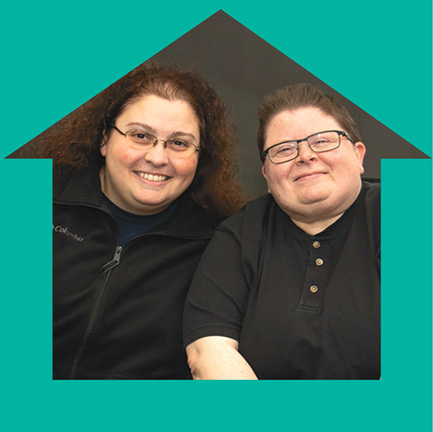 Animal lovers as well as Stevie Nicks fans, Bea and Lisa moved to Sussex County six years ago, ironically both now working for the same company—one which values collaboration and is amazingly supportive of LGBTQ staff. With “bankers hours” and abundant paid holidays, the girls note it’s akin to retirement, swapping midnight pretzel runs into New York City for Sunday morning boardwalk strolls. Two years ago, we went to the CAMP Rehoboth Block Party, saw volunteers at different stations, and a table supporting events like Women’s FEST. We decided to get involved. 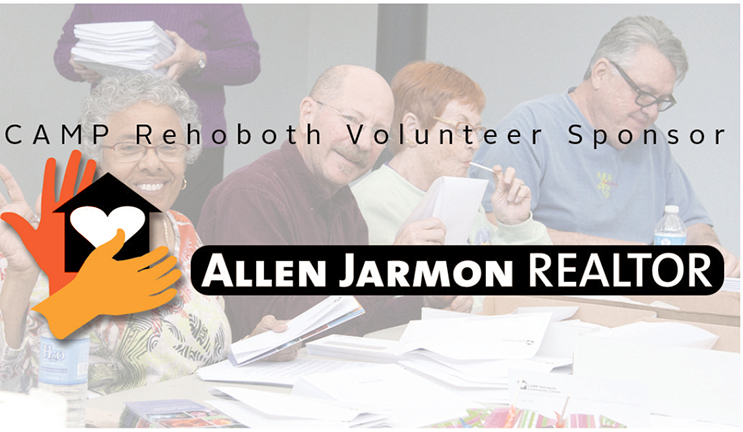 Monica Parr at the CAMP Rehoboth office suggested we check out a Volunteer Orientation Workshop. About a month later, we were helping CROP (CAMP Rehoboth Outreach Program) with the Winter Wonderfest of Lights. Mostly things organized through CROP by Leslie Sinclair and Debbie Woods. We’ve helped with the beach clean-up during National Trail Days, prepared meals at Epworth for the Immanuel Shelter, and made sure no children were trampled in the bounce house during the most recent CAMP Block Party! We also ushered for the CAMP Rehoboth Chorus where Bea wore her first-ever bow tie! Our most memorable event was painting the house at the girls’ group home in Milford. We met so many great volunteers. And, the girls were so grateful to have newly painted bedrooms. What’s your favorite CAMP Rehoboth event? Without a doubt, Women’s FEST. This will be our 10th year. It’s a wonderfully organized event with something for everyone. Bea: Talk less and listen more. You earn the fun after working hard. Never be afraid to ask out that cute girl. Lisa: Worry less. Everything is going to be OK. Let faith guide you when you’re lost. Lisa: What can be said that hasn’t been said before about Ellen? She empowered countless lesbians to come out—me included. Bea: Barbara Gittings, Hilary Rosen, Marsha Johnson, and all of the Stonewall activists who fought back. The LGBTQ community has made significant progress in the fight for equality over recent years. Did you expect to see this in your lifetime? Lisa: No. I never thought I’d have marriage equality in my lifetime. Bea: I expected nothing less. Given the current political climate, what concerns you most about the future of the LGBTQ community? Using religious liberty to undermine LGBTQ rights. Be visible. Get involved. Continue to fight and, for the love of God, get out and vote!!! Since you began coming to Rehoboth, name the biggest change you’ve seen. Rehoboth has become more of a “year-round” community. We are feeling the love of second season more and more.